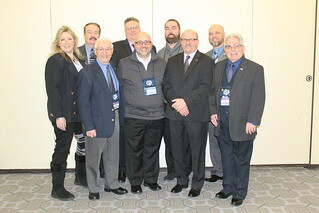 The 2018 National CAP Conference was held in Washington, DC on February 4, 2018 through february 8, 2018. UAW International President, Dennis Williams opened the conference on Sunday, February 4, 2018. In attendance were Jeff Binz, Director Region 9 and the International IEB and many great speakers. The delegates lobbied at the Capitol on Tuesday and were able to meet and discuss very important issues with our Representatives.